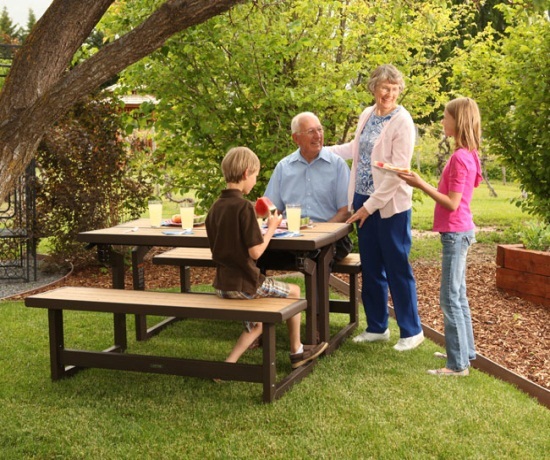 Product: Lifetime Convertible Table - 60054 Picnic Table and Bench. 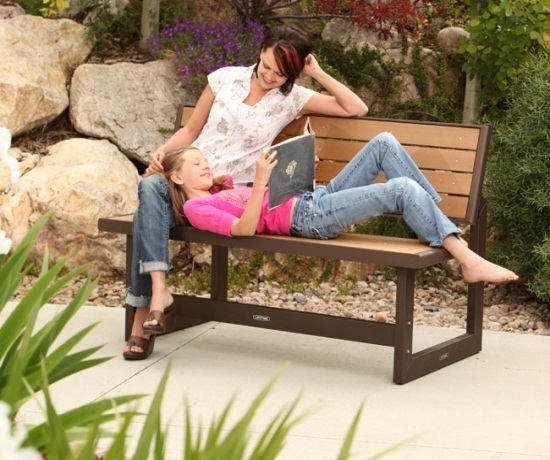 Enjoy your yard like never before with this versatile bench that converts into a table in seconds. Enjoy relaxing and watching nature? This table allows you to enjoy it all whether you are reading, doing homework, eating a meal, or working on the laptop. These tables are weather-resistant and are manufactured with simulated wood for durability and longevity. Enjoy the beauty of wood without the yearly maintenance. Slats allow for quick draining so water doesn't set. This heavy duty steel frame is protected with a powder-coated finish to prevent rust. 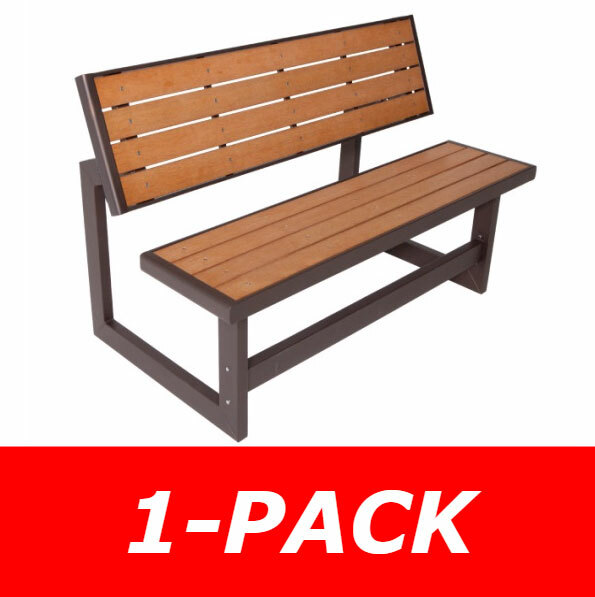 Purchase two or more and use as a picnic table or a set of benches. Easy one person conversion from bench to table in seconds. Ultra stable in both positions. The beauty of wood without maintenance. Slats allow for quick water drainage. 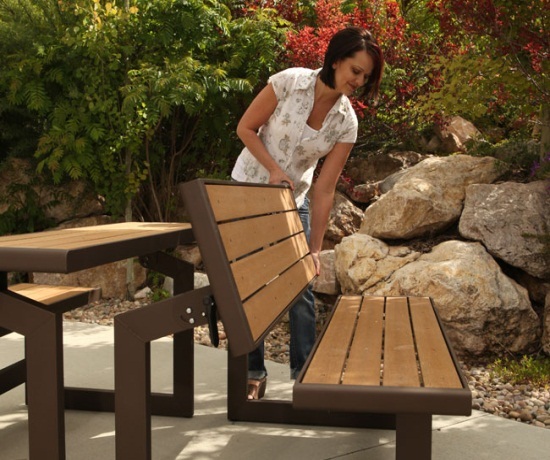 Two convertible benches (sold separately) can be placed together to create a full picnic table. Easy access in and out of seating area. Quickly ships out the following business day. 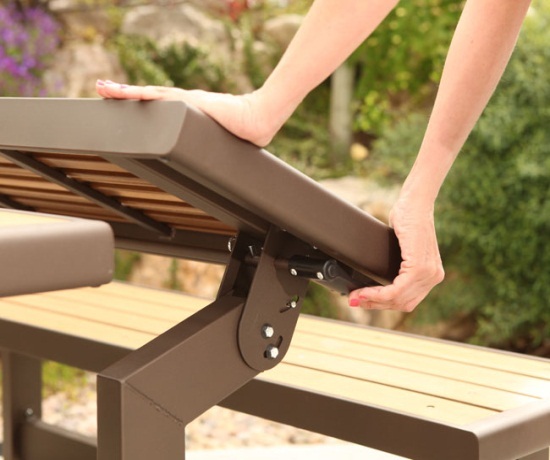 Seat Height 18.88", Width 14.25", Length 55.5"
Competitive Edge Products, Inc. is an authorized retailer of the 60054 bench/table. Great looking and incredibly versatile, this system works great as a bench, small eating table or with 2 units, a fantastic picnic table. It was easy to assemble, and is built to last a long time. It arrived very quickly and I am very pleased with the product. 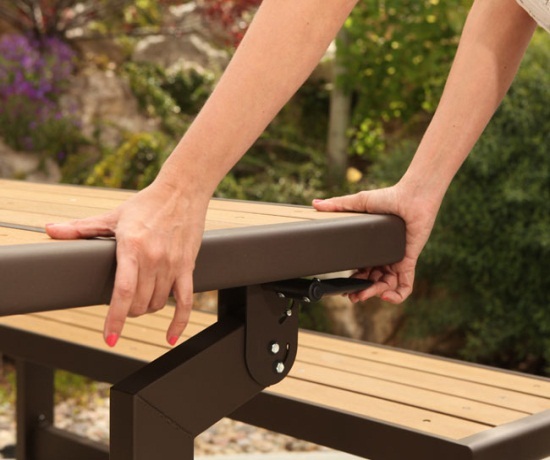 We purchased the Lifetime Convertible Bench after my husband completed a new small deck. It matches the decking material and rail colors perfectly. When it is converted to the table, it provides great eating space for our granddaughters. When it is converted back to the bench, it provides seating in a small space. The benches I received are fantastic and have the versatility I was looking for ... once I got the hang of it, putting them together was a breeze and one person could do it easily. I would recommend them highly! I only had 2 issues, I got my bench with a small dent on the side of the top piece, and do not over tighten the bolts where the bench tilts, the bolts should be a touch longer. other wise, great product, easy to assemble, all my guest asked about how to get one or two. I got two of them and love them. Q: May I have the overall width measurement when it is as a bench; and then as it is converted to a table? Thank you! 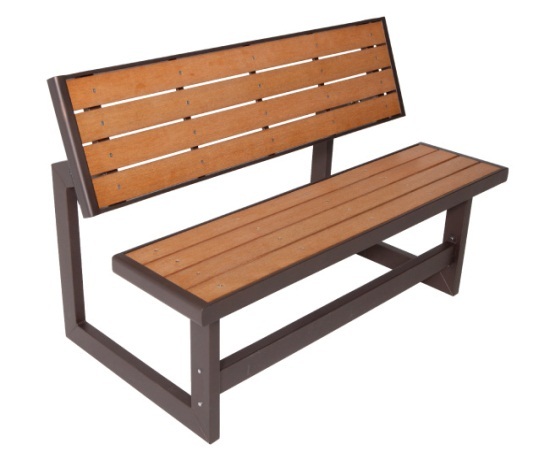 A: Bench Position dimensions:Overall height - 36 inches Seat height - 18.75 inches Seat width - 14.8 inches Seat length - 57 inches. Bench back length - 57 inches. Q: Does this bench/table fold flat for winter storage? A: It is not fold flat. Q: Can you display how to put together ? Q: Is this the only color it comes in? A: Yes, that's correct. This is not come in any other colors. Q: How much weight can it hold? A: It has a 900 pound weight capacity. A: The weight on this bench is 64 pounds. Q: How long is the shipping time to zip code 29585? A: It takes about one week. It ships through FedEx and they will leave it on your doorstep if nobody is home. We also e-mail you the tracking information. Q: Is it possible to Buy this item from Russia and can you organize the delivery in Russia? A: Unfortunately, we do not ship those items internationally. Sorry for the bad news. A: Yes, you can obtain those replacement hardware pieces by calling 800-225-3865. Q: Do I need to order 2 table/benches for this to work? A: Yes and no. If you only need a bench and you want to use it as a half table then you only need one. If you wanted to be a complete picnic table with a bench on both sides, then you do need is one. Q: How would this hold up as a park bench? Would it work in a garden/healing area at a hospital for example? A: It would hold up perfect in those circumstances. Many businesses use these as well as residences in their own backyards. Fast Shipping: Orders for the 60054 Lifetime Convertible Table generally leave the warehouse the next business day. Dimensions: 60" x 15" x 8"